The World Series of poker is probably one of the most recognized brands within the poker industry. The WSOP has been one of the key players in poker gambling globally, and they are now one of the pioneers in the Nevada online gambling platform. The WSOP.com website currently offers real money online poker gambling to residents of and visitors to the state of Nevada. Players must be physically located within the state’s borders in order to participate in the real money portion of the gambling options. Location verification technology ensures that only players meeting the terms and conditions of eligibility are able to register for real money accounts. Players who are not in Nevada may access the free play mode and enjoy some free poker gaming that does not involve real money wagering. While most online poker players are in it for the money, playing for free at WSOP.com does give you an opportunity to improve your skills as a player for free at a very high quality online poker site. Registration is very simple and straightforward, simply requiring you to enter some personal data and information. The entire process takes all of 60 seconds. Once you submit your registration, the website then proceeds with verifying your location. If you are indeed located inside of Nevada state borders, you’ll be offered a real money account. However, if you are located outside of the state of Nevada, you will be offered a free play account in which you can play a selection of games using play money. You also have the option to play for free even if you open a real money account. To switch back and forth between your real money and free play account, you can select the option you desire using the menu at the top of the lobby. Please note Real money accounts are only available to Nevada residents at this time. When I first visited the World Series of poker website, one of the first things I did was check out their promotions page. As of today they are currently providing 24 promotional offers, including a $10 no deposit free bonus and their reload bonus for existing players redeposit into their account. Brand-new players are given a free $10 just for registering with a real money account. Existing players who return and redeposit funds into their real money account are eligible for a 100% match bonus up to $400 on their second deposit using bonus code: reload400. This reload bonus is released in $10 increments into your account each time you earn 100 action player points. Action player points are earned each time you login and play poker using your real money account. You must earn enough action player points for the release of your entire bonus within 60 days of making your deposit. This is a typical bonus structure at most online poker sites. The remaining 22 promotional offers are related to various tournament games and special events. These offers are subject to change periodically, and you should really check them out each time you visit the site. I was pretty pleased with the game selection that I found when I visited the WSOP.com poker room. While they did not include some of the more exotic poker game variations, the game menu did include my favorites. The games you’ll find there are: no limit and pot limit hold ‘em, no limit and pot limit Omaha, fixed limit hold’em, fixed limit Omaha, and fixed limit seven card stud. They are extremely transparent regarding the rake and what it’s based on, and they even include a nice table that provides a visual representation of how it works, which will be helpful to those who are new to the poker rake concept. Their tournament schedule is comprehensive and highly active, with strong player traffic and a considerable amount of variety regarding the game selection, buy in amounts and structure. The tournament offerings include freerolls, guaranteed payouts, and sit and go events. As traffic has grown considerably and rapidly since their original launch in 2013, the level of competitive is already spanning a wide range of skill levels, from newbie – on up to the sharks. The banking suite at the World Series of poker website is very USA friendly. For funding your real money account, you can choose from the following deposit method options: Visa, MasterCard, or direct bank transfer. If for some reason your initial attempt at funding your real money account is not unsuccessful, you’ll receive an email from their customer support staff explaining the situation and providing alternative suggestions to successfully fund your account. Their support staff is highly responsive and knowledgeable and works with you closely until your account is successfully funded. Players may use direct bank transfer to withdraw funds from their real money account. Visa and MasterCard are not viable withdrawal options for players. This may change in the future as more state-sponsored online gambling sites become legal within the United States, and credit card companies become more involved in the industry. In the mean time, bank transfer is your most reliable withdrawal option. Player Eligibility – Do I Need To Live In Nevada To Play For Real Money? While players do not necessarily have to live in the state of Nevada to play at the World Series of Poker website, you do have to be physically located in the state in order to be eligible to play real money games. Players who are interested in playing real money poker but that are not present physically within the state’s borders can still access Vegas style poker gambling through alternative online poker sites accepting USA players. You can find information about these options in our Vegas online poker site reviews. In addition to being physically located within the state of Nevada, players must be at least 21 years of age in order to participate in real money games. The player rewards program at the World Series of Poker website is called the Action Club. Players can earn Action Player Points (APPs) each time they login and play using their real money account. The total number of unredeemed points in your account determines your tier level within the Action Club, which in turn determines your multiplier for converting your APPs to WSOP Points. Your WSOP points can be redeemed for cash back at a rate of one penny for every WSOP point redeemed. You also receive access to exclusive tournaments based on your status tier level. I have been an avid poker player for years and participate heavily in online poker and other types of gambling. When I reviewed the World Series of Poker online poker room, I was in essence comparing it to all of my favorite existing online poker sites. 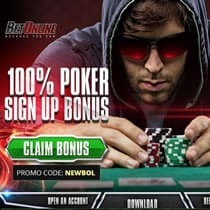 Naturally being one of the biggest and most recognized names within the poker industry, you would expect to find an extremely high quality and impressive online poker experience when visiting WSOP.com. This is precisely what I encountered. Gameplay was fast, smooth, and consistent. The software was never buggy nor did it prevent any issues when I registered, made my deposit, engaged in multiple games, or made my withdrawal. Claiming my $10 free no deposit bonus with simple, as was the 100% reload bonus. Other than the fact that I had to actually travel to Nevada to participate in W SOP.com online poker gambling, I have no real complaints about my online poker experience while there. Based on the quality of the gaming performance and customer support, I can easily recommend WSOP.com to other Nevada online poker players.